Inside the shiny, dark exterior of black beans is a velvet-like interior with a flavor that many describe as being similar to the flavor of a mushroom. 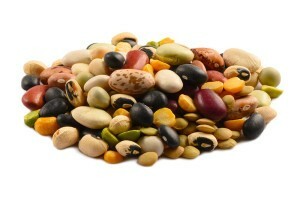 When used in recipes, these beans retain a substantial texture, a distinctive shape and an identifying flavor. They’re a high-fiber, protein packed, versatile vegetable that should be included in a health conscious diet. I’m so glad nutstop started selling beans, etc.! We order once every couple months or so, and the beans are just as fresh as the nuts and dried fruits are. Great price for these beans. We use them all year long on salads or even mixed in with chili (yes, black beans). They keep very well. I like black bean and it turns out to has a good quality.